Do you want to teach your kids more about the world? 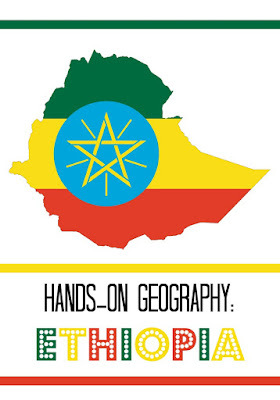 In this unit I assembled books, activities, and web resources that we used to learn more about Ethiopia. One of our New Year resolutions that I and my 9 year old made together is to cook around the world, to try recipes from different countries and to learn a bit about every country. We happen to have this set of World Geogtaphy Cards from GeoToys that has 50 cards for 50 biggest countries in the world, so we decided to use these cards as a starting point. Smarty randomly pulled our first card, and we ended up in Ethiopia. 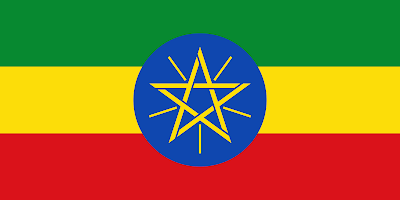 We talked briefly as a family what we do know about Ethiopia. Smarty knew nothing except that it's a country in Africa. My husband remembered coffee export, and, as for me, two things jumped to my mind - Lucy discovery and Operation Solomon. 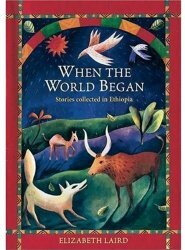 My daughter really enjoys myths and folk tales, so she loved When the World Began - a set of stories collected in Ethiopia by Elizabeth Laird. What we both found interesting is how different the moral message is in some of the stories. One of the stories was about two brothers that were sent to build their own homes. One worked hard and built solid huts, another spent all his time making friends with other families and did not build anything. You would expect that father would praise the first son, yet it's the second son who came ahead, because other families treated him as a member of their own families and supplied him with everything he needed. Smarty's reaction was, It's just not right! I am still pondering that story myself. 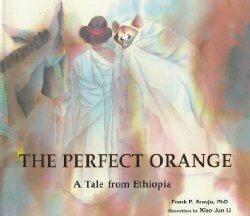 The Perfect Orange is a charming folk tale that is easier to "digest" than some of the stories in the first book. Watercolor illustrations by Xiao-Jun Li tell the story of a young girl whose generosity is being rewarded - definitely the story that my daughter could easily connect to. It's a relatively short tale that would make a great introduction to Ethiopia for preschool age children. 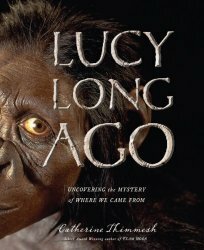 Lucy Long Ago by Catherine Thimmesh is a non-fiction book describing the discovery of Lucy skeleton in Ethiopia and its implication to our understanding of human origins. Obviously, this book is better suited for families like ours who hold the evolutionist point of view on human origins. The book describes in great details how various scientists painstakingly studied Lucy remains and what they learned. Smarty and I both found this book very fascinating. 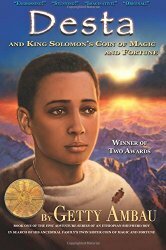 I had high hopes for Desta and Kind Solomon's Coin of Magic and Fortune by Getty Ambau. It's a thick fantasy book set in Ethiopia and I thought that Smarty will enjoy it. However,... the book's plot proved to be as cumbersome as its title. Smarty couldn't get through many pages of descriptive language to actual events, and I eventually gave up on it as well thinking that I can spend my time on more interesting books. However, we did learn a few things from this book about typical life of Ethiopian shepherds of the mid 20th century, so the time was not completely wasted. 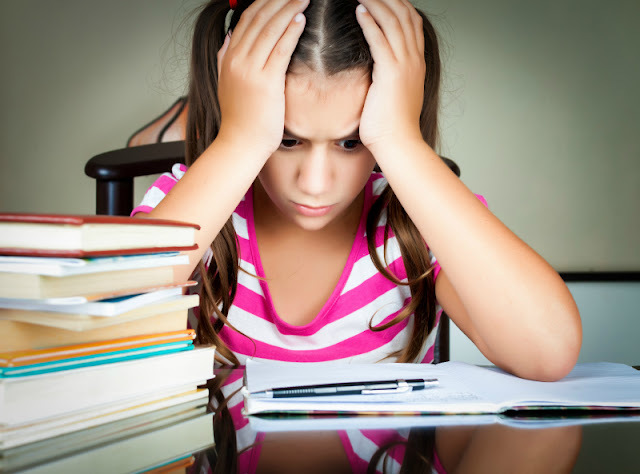 Time for Kids has a destination guide for every country in the world with interesting history and geography facts, "a day in life" section explaining life of a child in this country, and a quiz. Our Africa has great videos about life in Ethiopia and other African countries. My blog friend Becky has an adopted son who was born in Ethiopia. 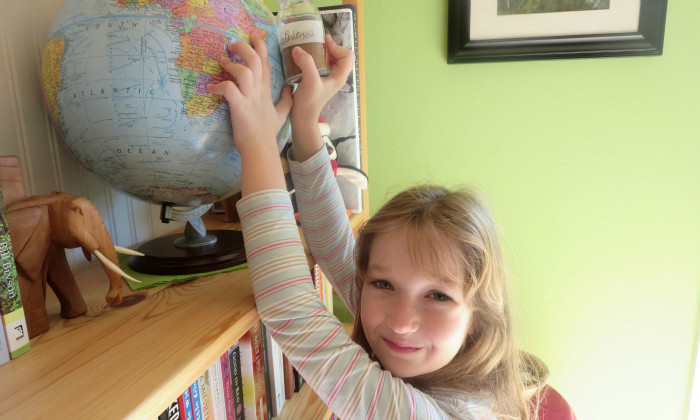 Her blog Kid World Citizen has a wealth of resources about different countries around the world and several interesting articles about Ethiopia. We have Amazon Prime and enjoy free video streaming service. Smarty and I tuned to a special episode (season 2, number 9) from Miracles of Nature series that took us to Ethiopia. We learned quite a bit from this video about Ethiopian way of life and saw a "hyena whisperer" at work. 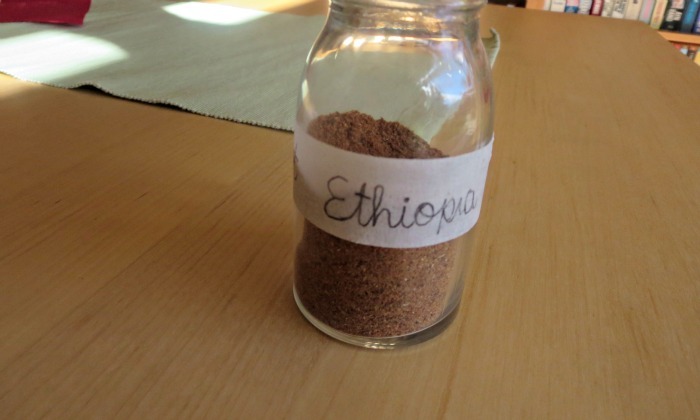 Since our goal was to cook around the world, we also looked up Ethiopian dishes. We realized that local cuisine uses a lot of spices and even has its own special spice mix known as Berbere spice mix. I checked several recipes of this mix and settled on this recipe from Bon Appetit. This particular recipe was not based on chili spice, and I knew from experience that chili spice would be too spicy for my family. Another plus for this recipe was that we had all the necessary ingredients in our pantry. 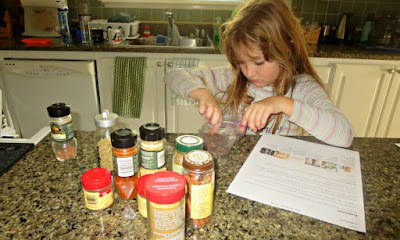 Smarty was able to make this spice mixture mostly on her own and made a label for the bottle. The mix did work out wonderfully for our Ethiopian dish that I will describe in a separate post, and I am thinking of making this mix again, this time as a gift for our best friends who enjoy cooking. Are you traveling the world with your children? I love the Amazon Prime movie streaming service, too. Looks like you found some interesting books! 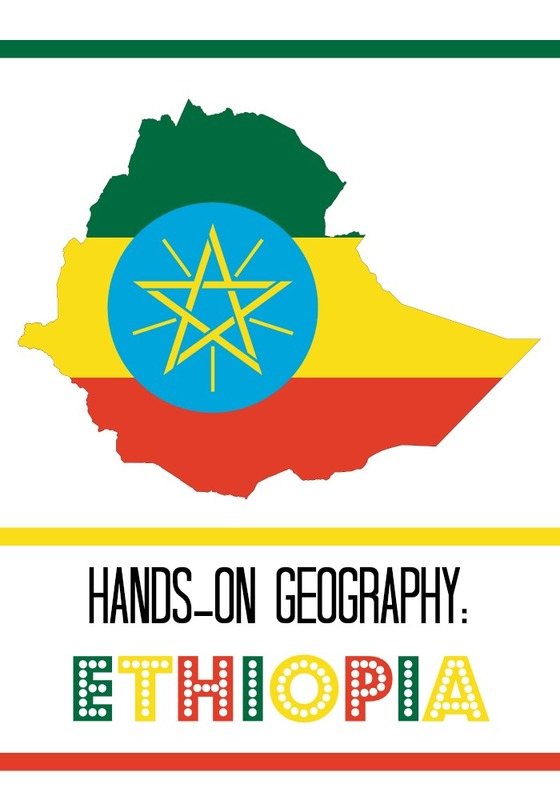 What a great round up of resources on Ethiopia! Thanks so much for sharing at the Multicultural Children's Book Day linky! Wow. Very informative there. As your daughter loves folktales may I suggest Panchatantra Stories from India. She will love it. This is such an informative blog post. I've put a couple of these books on my reading list. Loved learning more about Ethiopia. What a wonderful post! If you're interested, we'd love for you to link up this post (or any other that features diverse kid lit) with the Diverse Children's Books Link-up! You can find it at http://pagesandmargins.wordpress.com/2016/04/16/diverse-childrens-books-link-up/. Thanks!